Don’t take the IN1 on a plane. 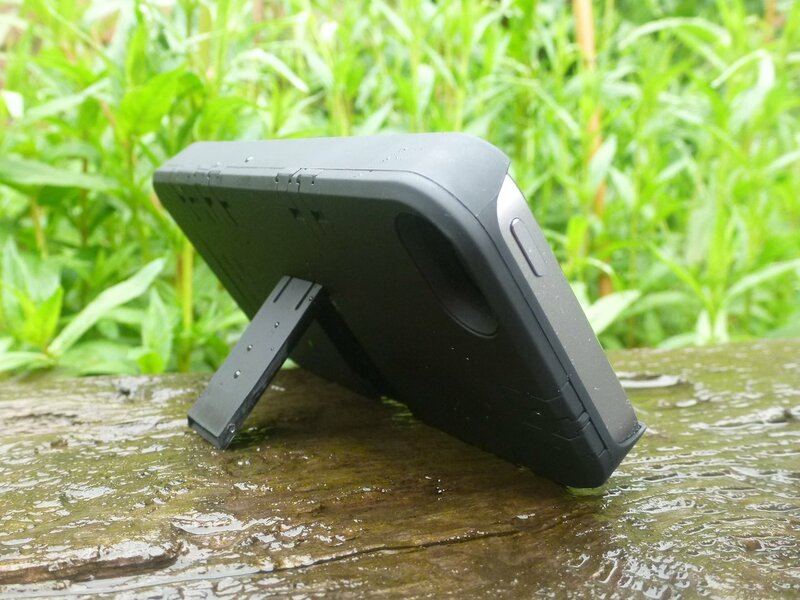 Strictly for domestic travel only, the IN1 is the ‘swiss army’ phone case, with pop-out tools and – perhaps most crucially – a kickstand that makes watching video a cinch. Do you watch video while travelling? If you’ve got an iPhone, it’s likely that you do, which in an instant makes the IN1 worth investing in. The design features cutouts for the phone’s volume buttons, its bottom-mounted speakers and headphones jacks, and the rear camera. The lower part slides off to allow an iPhone to slide in and out; it’s a very snug fit – so snug, in fact, that’s it needs a bit of a tug to get it out again. Ranged on the back of the device are six tools; the scissors are tiny but work just fine, while the two screwdrivers could be handy for fixing a watch on the go. The tweezers are welcome, too, though we’re not convinced about the toothpick and nail-file – to us they feel like legacy tools. But the best bit? Two biros, both of which pop-put from the top. Although we do love its provision of some items you might need on a trip – especially those two pens and the scissors – we ended-up loving the IN1 for its kickstand. Propping-up a phone on foldout tables on trains and planes is so handy, though almost as delightful is the IN1’s so-snug fit that is so obviously adding some protection, too. Highly recommended.